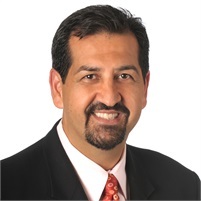 Mike S. Hashemi | Investment Concepts & Financial Planning Services, Inc.
Mike Hashemi learned the importance of determination through hard work when he graduated from the University of Central Oklahoma in 1985 with a Bachelor’s degree in Computer Science and a minor in Math. After four years with First Investors in Oklahoma City, Mike decided that in order to provide his clients with superior quality products and services he needed to become an independent financial planner. Mike founded Investment Concepts in 1990. Mike utilizes his years of experience to help clients reach their goal of financial independence. As a Certified Financial Planner™ practitioner, and a Certified Wealth Strategist® certificant, Mike combines his professional and academic experience in seeking to provide his clients with outstanding financial service. He is a Registered Principal and an Officer of Supervisory Jurisdiction with First Allied Securities, Inc.
Mike has over twenty five years of experience in financial planning. This experience gives him the ability to analyze your financial situation and create a financial or retirement plan that is just right for your particular needs. His concern for your welfare shows in every step he takes on your behalf. Mike understands his clients’ financial needs and is adept in developing excellent financial solutions for them. Listening and learning creates a winning combination. Mike Hashemi not only advises, he also listens to his clients’ needs and delivers unique financial and investment planning to individuals, families, and business owners. Having your financial professional just a phone call or email away is invaluable. Mike has the knowledge and sophistication to work effectively with his clients’ attorneys and accountants. He offers personal guidance and leadership, always based on his clients’ best interest. Mike develops, applies, and coordinates his clients’ total financial and investment plans, so they can relax knowing that the right strategy is in place to help protect and increase their wealth.